TAKING CARE OF THE SMALL MEMBERS OF THE FAMILY IS A FULL-TIME JOB. 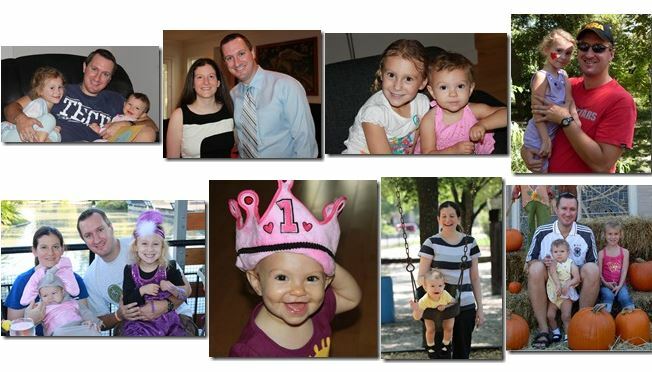 Dr. Nugent and his wife Beth have their hands full with their two girls. Parents have enormous responsibilities and duties in the care of their children. Parents also need to take care of their children’s teeth. Dr. Nugent recommends that no toothpaste be used from birth to 18 Months. Dr. Nugent recommends that you begin cleaning your children’s teeth as soon as the teeth begin to come in. For infants this can be a simple cotton gauze of wash cloth without toothpaste. Gently rub their teeth and gums with gauze or wash cloth. Once your child has more teeth, parents can use a small, soft toothbrush to brush your child’s teeth with water. Dr. Nugent when should parents use toothpaste? • SAFE TO SWALLOW: Most young children tend to swallow while brushing, rather than spitting out the toothpaste—so we recommend that your children’s toothpaste is formulated with this in mind. • USE ONLY A PEA-SIZED AMOUNT: Don’t use too much toothpaste—just squeeze a small, pea-size (or smaller) amount onto the toothbrush. Your child doesn’t need much toothpaste to be effective, and you don’t want your child to swallow too much toothpaste. • FUN FLAVORS: Try some different flavors of toothpaste and see what your child likes. Some children—especially at the toddler stage—are very picky about flavors and might be reluctant to use a certain flavor of toothpaste. So be prepared to buy a few different varieties of children’s toothpaste and see which one is your child’s favorite. When can my child use adult toothpaste? When the child can successfully spit out all their toothpaste. Typically this is around age 4. Still use a “pea sized” amount and supervise your child’s brushing. Remember brushing teeth for two minutes is very important. Brushing your child’s teeth is an important part of parenting, and you need to start at a young age. By taking the time each day (after breakfast, after lunch or when the child comes home from school, and before bed) to clean your child’s teeth will help create a lifetime of healthy dental habits and happy smiles! 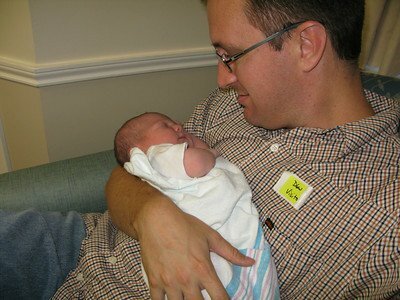 Dr. Nugent and his daughter at the hospital. 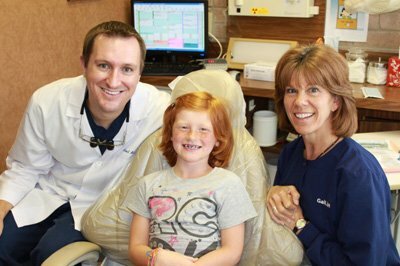 Dr. Nugent is a great children’s dentist and makes each visit to his office fun for your little ones. Come visit our office at 3421 Burke Rd Ste A, Pasadena, Texas.